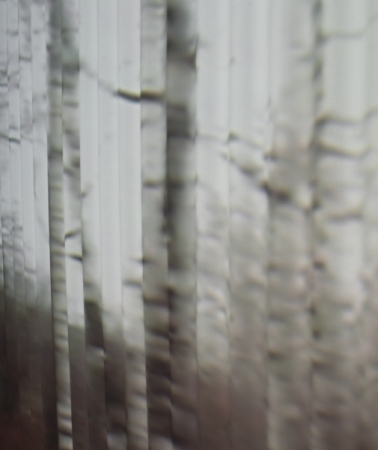 PAL · 2:3 · Projection on corrugated board · Colour · Stereo · 2:24 min. 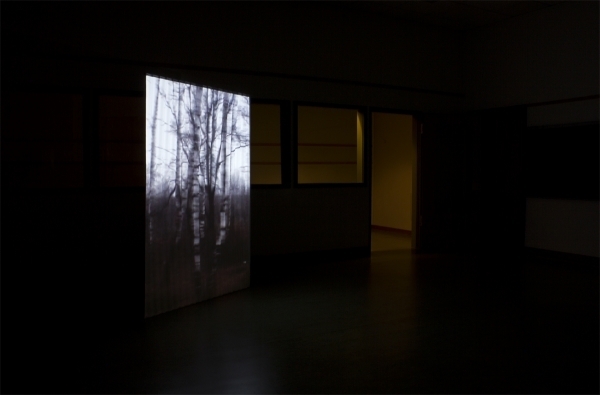 The natural motif of a misty wooded landscape in the video piece Group of Birches contrasts strongly with the subsequent mechanical cutting of the footage. 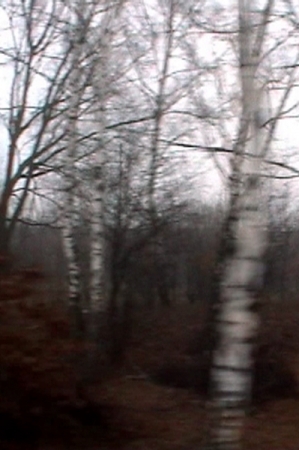 The video loop begins with a view from the window of a train travelling through a hazy autumnal landscape. 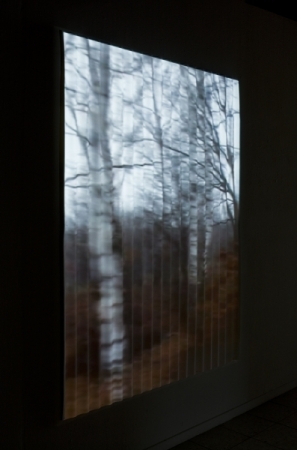 A group of young birch trees standing close to the railway line appears in the window, but then the linear forward movements of the train and the video are interrupted such that the trunk of each birch tree stops for a few moments in the middle of the window while the background and the foreground continue to move, but in opposite directions. 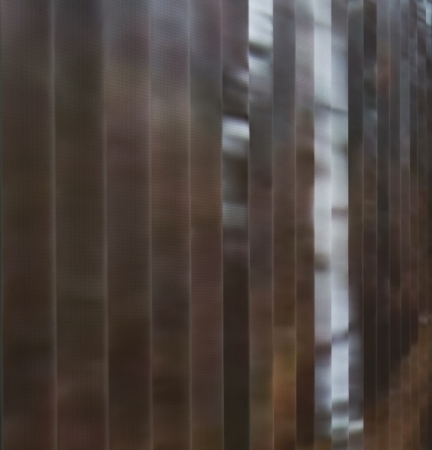 The video moves backwards a few frames and then forwards again, continuing until the next birch tree appears. 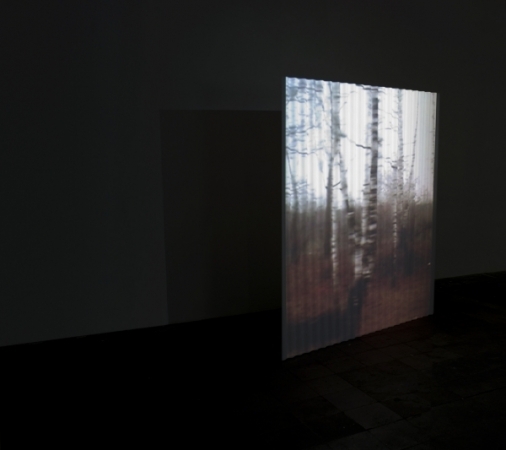 While the camera’s gaze remains fixed on each individual birch tree, as though by some magnetic force, the viewer has the impression that he himself is being pushed forwards and backwards on the rails. The music picks up the visual contrast between subject matter and form, between the natural motif and mechanical manner of its treatment: sustained, filigree chords vibrate against harsh scraping and percussive sounds.